Last week we got the chance to take a first look at Samsung’s upcoming QLED TV line for 2018. During CES we managed to see small snippets of what would ultimately become the essence of their home entertainment lineup. Alongside the unveiling of the Wall at CES, Samsung showcased a modular MicroLED 146-inch TV which exemplified how consumers can customize their television sizes and shapes to suit their individual needs. The Wall was able to blend seamlessly into its surroundings as well as display relevant information like the time and temperature. Now let’s flash forward to last week’s first look event where Samsung showcased all of their CES innovations into various consumer home entertainment products that will be available soon. The ability to have a sleek home entertainment setup is made effortless with Samsung’s One Invisible Connection and Effortless Login. Bixby, Samsung’s smart assistant, makes using voice commands on your QLED TV equally as painless. Let’s deep dive into the highlights from the first look event. “Ambient mode” provides useful information throughout the day – even when consumers aren’t actively watching movies and TV. It can play music as well as display news headlines, traffic reports, and weather updates. For wall-mounted TVs, Ambient Mode can mimic the pattern on the wall behind the TV to create an astonishing visual effect in which the TV blends seamlessly into the wall. The new One Invisible Connection is one slim cable that combines both consumer’s power and AV data to the TV. Available up to 15 meters, it frees consumers from having to place their TV near data or power outlets allowing for seamless viewing experiences. For gamers, the QLED TV provides an unparalleled 4K HDR gaming experience. It leverages Quantum Dot technology to bring even the smallest graphical details to life in perfect color. And with 3-step image processing, the QLED TV features an exceptionally low input lag of fewer than 20 milliseconds to provide a seamless experience on even the most demanding multiplayer games. Meanwhile, a lifetime guarantee against burn-in means that gamers will never have to worry about potential display damage that could distract them from the next mission. Samsung’s Smart Hub has been expanded to offer an even more intuitive and unified experience, directly via the QLED TV. By simply connecting Xbox One X, the TV automatically recognizes the console and sets up the Samsung One Remote – which now supports more devices and offers voice control capabilities across more Smart TV features. Just by saying “Game Mode” into the One Remote, users will have immediately optimized their audio and video settings for gaming. Paired with the latest Smart View App – available on Android or iOS mobile devices – users will enjoy their very own personalized Smart Hub. 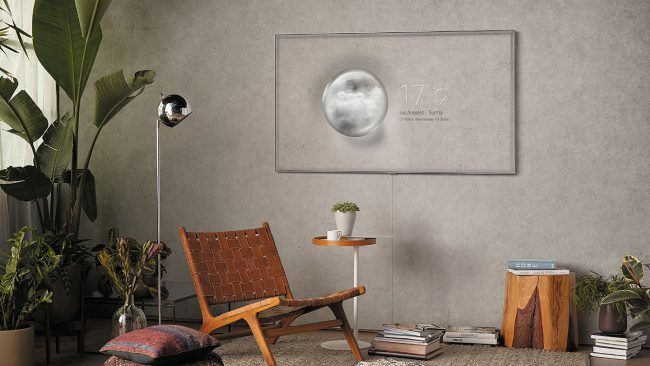 Additionally, Samsung introduced new design elements that can fit into any home – regardless of the interior aesthetics or setup. The all-new Invisible Connection cable allows placement of the console elsewhere, with a single connection to the TV. Consumers can now reclaim their living room space once occupied by set-top boxes, external streaming devices and video game consoles with a single optical cable that brings all devices together in a clean, orderly manner. Additionally, Samsung has also introduced the No Gap Wall-mount which brings the TV flush against the wall, closer than ever before. QLED TV: Models in the 2018 QLED TV lineup include – Q9F (65”, 75”, 88”), Q8F (55”, 65”, 75”), Q7C (55”, 65”), Q7F (55”, 65”, 75”) and Q6F (49”, 55”, 65”, 75”, 82”). 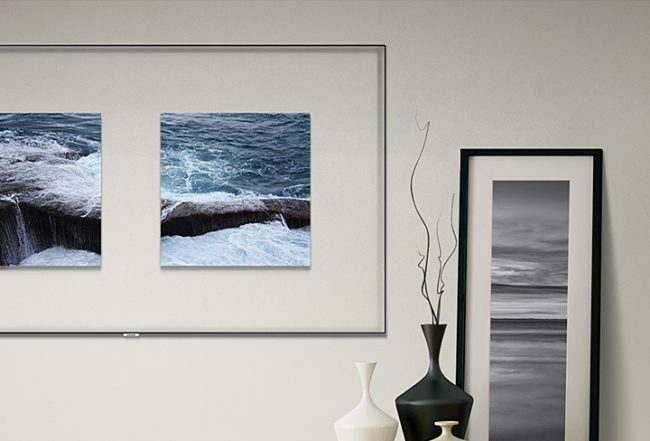 The QLED TVs feature enhanced color and contrast, HDR10+ compatibility, Ambient Mode, Smart TV enhancements with Bixby Voice, One Remote Control, and the One Invisible Connection. Samsung’s 2018 home entertainment line will be available in stores beginning March 2018. For more information and pricing on Samsung’s TV and Audio products, please visit www.samsung.com. *One Invisible Connection applies to Q7 and higher models except for Q8F. One Remote Control applies to NU7400 and higher models. ****The product line, details, and availability vary depending on the region. There are no affiliate links included in this post.